Arihant Polypacks was established in 2008, with a purpose to cater to the rapidly growing demand of Polypropylene Woven and Non-woven Fabrics in Nepal. Ever since, the company has been growing and expanding through new product development, catering to new market segments and satisfying existing consumers. Arihant Polypacks takes pride in offering its clients a range of impeccable products and personalized service. A well-organized production method is followed at Arihant Polypacks to guarantee that all the products are reliable, and consistent in their physical and chemical characteristics. We use good quality raw materials that are procured and evaluated by experienced hands. We are an ISO Certified company and follow highest national standards in producing each product. Our in-house quality control department conducts a series of quality tests for every batch ensuring that our customers avail the best products. Woven fabric serves as a packaging solution for a lot of businesses, fabric is lightweight, yet strong and tough and hence suitable for making bags and sacks for various industries like cement, sugar, food grains, fertilizers, chemicals, sand and seeds. Our woven sacks are used for packaging sugar, food grains, cement, fertilizer, chemicals, sand and seed. 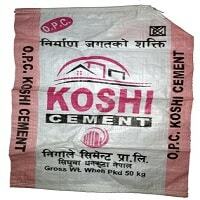 Our PP woven sacks are very popular among cement industries in Nepal. Non Woven Fabrics are used in shopping bags, tea bags, rice bags, coat covers, automobile covers where as disposable fabrics are used in hygiene products like medical disposables like mask, wipes, bed sheet, apron and shoe covers. 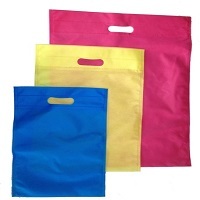 Non-woven shopping bags are available in distinctive designs, colors and sizes.They are very durable and reliable for carrying shopping goods, and are also very cost-effective and eco friendly.